I see beauty dancing out of ashes. I see that as we lift our hands – broken, dirty, scarred – to worship Him, healing waters flow like rivers from heaven to wash us clean and bring healing to our wounds. The Lord is taking up the ashes from the broken pieces of our lives, and out of them He is making beautiful crowns of gold that He will place upon our heads. I see a season of deep renewal that is coming. There’s a release in the atmosphere, like the first breath of fresh air in Spring. I see multi-colors of dazzling beauty coursing through the atmosphere. There is power to create things of beauty + tear down works of darkness. 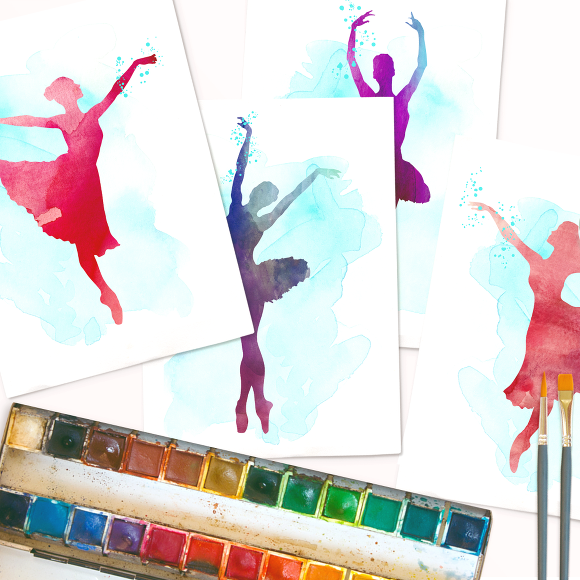 I see that as we worship in dance & lift our hands to heaven, we release His creative power. Where we move our feet, He brings deliverance. Where we move our hands, He brings new life. Dance, dance, in worship to your King. In the midst of your fear, worship. Do not be afraid, the Lord your God is with you, the Mighty Warrior who saves. In the midst of your weariness, worship. Do not be burdened, for He refreshes the weary and satisfies the faint. In the midst of your pain & sorrow, worship. Do not lose your faith, the Lord Almighty, the God of all the earth, is your husband. He will save you with His loving hand. Salvation is near. Declare to your circumstances, “It is well,” for the Lord your God is mighty to save. I see that as we praise Him, we are lifted up above our circumstances and seated in authority to change that situation. I see that our praises are like fiery arrows to the enemy camp. Our praise tears down the work of the enemy, our worship releases the kingdom God. 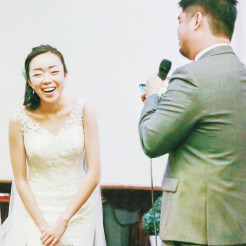 Laugh, laugh, in worship unto Him. Rejoice in the desert places & sing for joy in the barren lands. 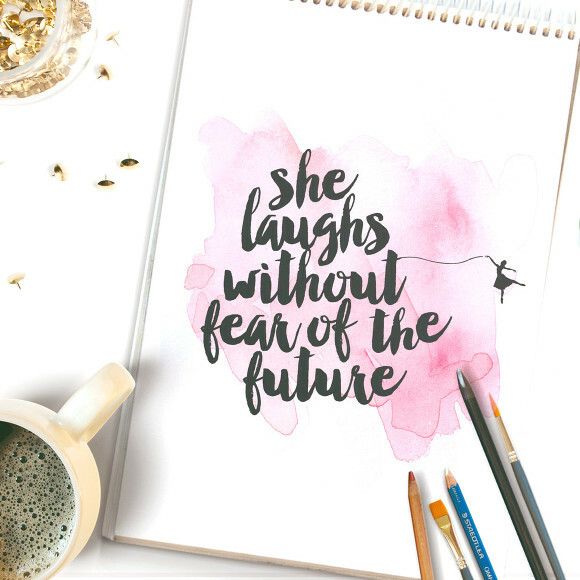 Laugh without fear of the future, because your Deliverer is coming for you. He is turning our mourning into dancing, our sorrow into joy. I see that we release the supernatural glory of heaven into our life through worship. I see breakthrough is available for us. When our feet move in worship, we crush satan under our feet. As we move our hands with dance, life is released. Lift up your head, and look, for the King of Glory enters in. Psst! 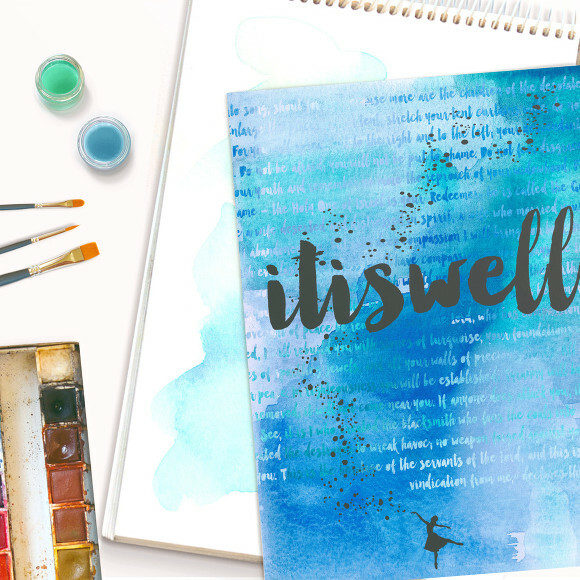 Get a limited edition digital copy of the “It is well” watercolor print that coordinates with the hardcover journal — only available for the first 100 journals purchased, so get your copies now. This print + journal have a watercolor background with the whole of Isaiah 54 painted in; I pray that comfort and healing be released into every home that these items go to. The Lord’s hand is heavy on this one, and I believe that He intends to heal many hearts with it.